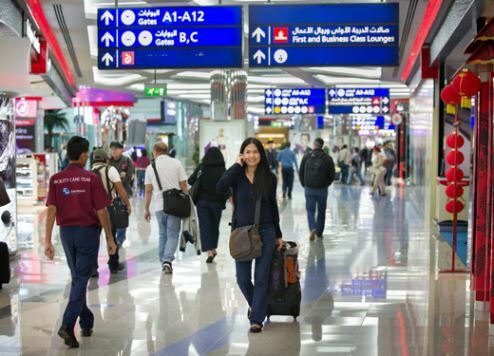 Travellers departing from Dubai International Airport (DXB) Terminal 3 will soon enjoy a smoother airport experience following the implementation of two new initiatives designed to streamline the check-in and immigration checks at departure. Launched by Emirates in conjunction with Dubai Airports, Dubai Police, Dubai Customs, and Dubai General Directorate of Residency and Foreigners Affairs (GDRFA), the initiatives involve biometric technology and new automated border control gates. They are the first projects signed off by the joint team currently reviewing all traveller touch points at DXB, with the aim of enhancing the overall customer experience. Using facial recognition technology integrated with the UAE Wallet, travellers will be able to register and store their biometric data through multiple means including by taking a selfie on their mobile phones, as well as using biometric registration kiosks placed at check-in areas and Emirates Lounges. They can then utilise this biometric data to ease their journey through immigration at T3 Departures, and later, other touch-points throughout DXB airport, including automated access to Emirates’ First and Business Class lounges. Meanwhile, new generation smart immigration gates will be installed at T3 Departures, supplementing the existing e-gates, and manned immigration counters. These new smart gates offer an automated border control system that utilises travellers’ biometrics. It will enable travellers to forgo the additional step of getting their passports and boarding passes manually checked by a security officer before they go through immigration, as these checks will be automatically integrated within the biometric validation as travellers pass through the new smart gates.